Trend alert! New York Fashion Week [NYFW] has Instagram booming, and these are the top trending & key pieces fashionistas have been strutting out and about on the streets of NYC. 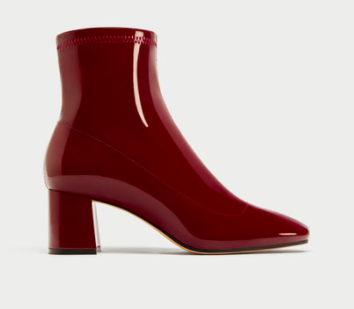 Just in case you've missed them, these are (just some of) the must-have of the season and chic pieces to get you into fall/ autumn '17. Get ready to be chic and cozy! P.S. the main 2 decade themes are the 70s & 80s! Stay tuned for more trending F/W '17 pieces right here on FirstandSeven.com. I'll be posting more outfit ideas + fashion tips + recs over the weeks! (Just follow my FB & Instagram to stay up-to-date and get alerted for the new edits, eaasssyyy peeezzzyyy). SEE WHAT THE 3 STYLES ARE BELOW & SHOP YOUR FAVES. 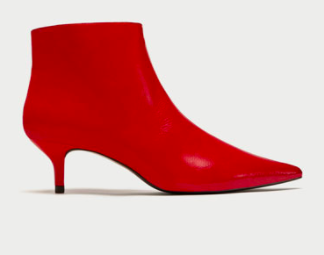 #1 RED BOOTS & BOOTIES // This is your BFF piece for this fall when it comes to footwear. 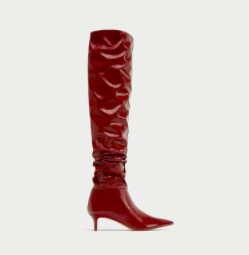 Faux leather and very red and burgundy are IN and the "it-girl" fashion statement of the season. 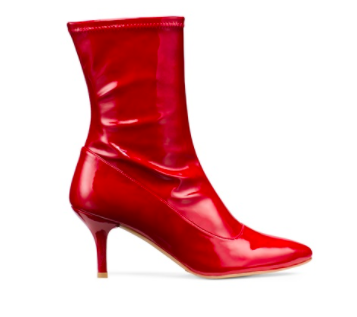 You can find them anywhere from Stuart Weitzman to Zara (scroll down to shop these)! 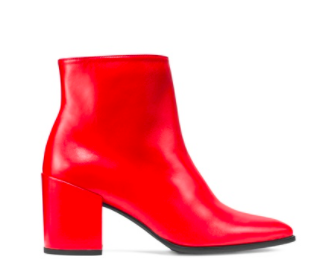 In fact, Stuart Weitzman even has a campaign going on now (SWxOnYOU) where you can customize your boots and booties from color, length and heels so no need to comprise on your favorite design and colors. 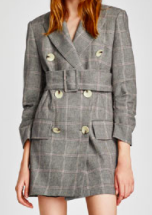 #2 PATCHWORK, PLAID AND HOUNDSTOOTH BLAZER & COAT // Whether it's a blouse, dress, pants or a coat, patchwork and checked design are HERE to stay and keep you warm and chic through fall/ autumn '17. The 80's double-breasted blazer in the form of patchwork and checked pattern are trending from high-street to high-end. Zara has some amazing, and I mean, really amazing, blazers so definitely go check them out (just scroll down to see which and shop the images). I do recommend opting for the blazer or coat because you can pair it easily and conveniently with a variety of items without compromising too much. #3 SHINY LEATHER SKIRT // Black and Red in shine and faux leather are going to pair a majority of your fall outfits without a doubt in the most chic way. Pair it with a sweater, blouse, t-shirt, cardigan, blazer, or your cat, you get the idea. Still not sure? See how I worked these 3 combinations in one casual, chic way, below. I paired this shiny/ wrinkled short faux leather skirt with a Levis T-Shirt to give that cool-girl, NYC street-style effect. To bring more of a sophistication, I paired the duo with a patchwork-patterned double breasted blazer (see here) and to bring an edge and make it a statement outfit, I added my red ankle boots (see here).